So you are about to start writing an essay on Death Penalty, and you are having trouble getting started. This guide will provide the different steps required along with recommendations. We can assure you if you take the advice presented in this article you will not only be able to write the perfect Death Penalty essay, but you will receive a good grade as well. The first step in writing your essay on death penalty would be knowing the true definition of it. According to Dictionary.com, death penalty is defined as a punishment by death for a crime. You should also know that death penalty is also referred to as capital punishment. The first step in writing this paper will be figuring out what type of essay you will be completing. If you are going to examine or analyze something related to Death Penalty, you would want to go with an analytical essay. If you are trying to persuade the reader to believe an opinion you are stating, you would want to go with a persuasive essay. If you are investigating or evaluating death penalty you should go with an expository essay. If you are going to provide an argument on death penalty that you want the reader to believe is stronger or more truthful than other established arguments of the same degree, you would need to go with an argumentative essay. Now that you have decided the type of essay you will be writing, the next step will be coming up with a captivating topic and thesis statement. Obviously, the specific type of essay you will be completing will determine your main topic and thesis statement. Below are some topics which you could use in writing your essay on death penalty. – Purpose of death penalty and its effectiveness in deterring crime. – The death penalty is an outdated punishment that is only used in countries with backwards legal systems. – The death penalty is a just punishment for horrific crimes. Countries that do not use it coddle their criminals. – The death penalty is the only way to deter people from committing terrible crimes. – The death penalty does not work to keep people from murdering each other. – The death penalty cannot possibly be administered fairly and must be abolished. – The death penalty is necessary so that people in a society will feel like justice is being done. So you figured out the type of essay, the main topic, and your thesis statement. Now you must find some very good relevant sources to either backup or dispute your statement. This shouldn’t be too hard of a task given that there are so many different books, articles, and magazines which you can find both online and in a local or University library. When using sources in your essay it is recommended that they were written in the past 3 years as anything longer than that may be too outdated to help your statement. Also be aware that some Universities have restrictions on what sources can and can not be used, how many online sources can be used, or even how many sources in total can be utilized. Several years ago Wikipedia.com was a source which you could not use for writing an essay. Professors felt that the content was not regulated correctly and that anyone can post about any topic, even if they are not considered an expert. In recent years, the editorial at Wikipedia has improved drastically and editors now require that all information added to a specific article must be properly cited by a reputable source. Since this time Colleges have now become more acceptable of this source. Another option for reputable sources would be Google Scholar. Basically it’s a search engine of quality resources on all the most popular and widely debated issues. You have the option of selecting sources from both books and magazines. Some of the books and articles are available for free, some offer only a few pages of text, while others you will be required to purchase. You can also request that the citations for the article to be provided as well. Finally, you remember Encyclopedia Britannica from back in the day. The original version of this highly popular source started out on a 5.25 or 3.5 disc then worked its way to a cd-rom and dvd. Now you can search their website online and find tons of resources, references, etc. Part of the task is securing quality and recently written sources on Death Penalty. The other part of this equation is knowing how to cite sources within your essay as well as completing a correctly formatted work cited or bibliography page. Most of the time your requirements will specify the citation method which would be either MLA – Modern Language AAssociation, APA – American Psychology Association, or Chicago style. Below we have provided an example of a source used within an essay on death penalty, along with the correctly formatted entry for the bibliography. He says, “The chief consequences of resting the defense of the death penalty on retribution is that it makes criticism of executions on grounds of justice, or reason, or experience, increasingly difficult” (Bedau 2004, page 10). Bedau, H.A. (2004). The death penalty in America, yesterday and today. Killing as Punishment: Reflections on the Death Penalty in America. Northwestern UP: Boston, MA. 3-15. In our death penalty overview, you can find information about what the death penalty is, where it is in use, and how many executions are done in each jurisdiction. There are a number of arguments for and against the death penalty. Understanding those pros and cons is critical, not only for academic assignments about the death penalty, but for you to determine: do you agree with the death penalty. Our pro and con papers explore the arguments people make for and against the death penalty, whether they are based on moral reasoning or simply financial and logistical concerns linked to the ultimate punishment. Opinions about the death penalty vary wildly from country-to-country. Therefore, there is no single death penalty worldwide perspective. Most Western “first-world” nations have abolished the death penalty, and even those countries that have not abolished capital punishment have taken steps to limit its application and scope. For example, most jurisdictions with capital punishment limit the offenses that can trigger a death sentence, prohibit punishing children, prohibit punishing the mentally ill, and prohibit punishing the mentally disabled. However, there is a significant amount of disagreement regarding teenagers and the death penalty, much of which seems to focus on the different ages of legal majority found in countries around the world. Our resources on the death penalty in America examine the issue from a historical perspective, the socio-political arguments for and against the penalty, and the current status of the death penalty in America. Our resources on the death penalty in India examine the issue from a historical perspective, the socio-political arguments for and against the penalty, and the current status of the death penalty in India. Our resources on the death penalty in Australia examine the issue from a historical perspective, the socio-political arguments for and against the penalty, and the current status of the death penalty in Australia. Our resources on the death penalty in South Africa examine the issue from a historical perspective, the socio-political arguments for and against the penalty, and the current status of the death penalty in South Africa. Because almost all societies have, at some point in time, embraced capital punishment, the history of the death penalty is fascinating from legal, social, political, and religious perspectives. The history of the death penalty traces the evolution of deadly corporal punishment from a public punishment meant to deter future offenses to the modern iterations of the death penalty worldwide. When first asked to give an opinion about the death penalty, many people believe that they would either fully support the death penalty or fully oppose the death penalty. This type of black or white thinking depends, in part, on approaching the death penalty from a purely moral perspective. However, whether the death penalty is morally wrong or morally right is not a clear-cut issue. Our death penalty resource center explores the moral arguments supporting the death penalty and the moral arguments that the death penalty is wrong. In addition, these death penalty resources use facts and figures to bolster and substantiate moral arguments. In our pro death penalty argumentative resources, you can find support for a position in favor of the death penalty and reasons why the death penalty should not be abolished. These resources might examine recidivism rates among violent offenders, the relative costs of incarceration and immediate execution, and even moral or religious arguments in favor of the death penalty. In our anti-death penalty resources, you can find support for a position in favor of abolishing the death penalty. These reasons include wrongful executions, cost, a lack of deterrent effect, and religious and moral objections to the death penalty. One of the core disputes in the death penalty debate is whether the death penalty is an effective punishment. In order to answer this question, one must first define the goals of the criminal justice system and its punishments. Criminal punishments are meant to impact a particular defendant, but also serve other functions in society. These functions are generally referred to as: retribution, punishment, and deterrence. Examining whether the death penalty is effective requires examining whether how well it fulfills each of these functions. Even if the death penalty is an effective punishment, whether or not it should be allowed requires consideration of questions other than efficacy. Some of these arguments are technical, while others are personal reasons that people give for supporting or opposing the death penalty. A discursive on the death penalty examines all of these reasons to come to a conclusion about capital punishment. One of the issues surrounding the death penalty is whether, if allowed, it should apply to all criminal defendants. While most jurisdictions bar the execution of young children, many permit the execution of teenage and young adult defendants. However, a growing body of scientific research on teenagers, especially teenage males, suggests that the teenage brain is not sufficiently mature to fully comprehend the consequences of their actions, which would call into question the appropriateness of the death penalty. Our resource center examines the evidence. Sometimes you just need to look at a sample essay and see how another student or professional completed their death penalty essay. Sample essays can help you come up with quality topics and thesis statements, arguments, and even resources. It can also show you how to correctly cite a source in the text of the paper and the proper format for a work cited and/or bibliography page. Sample Death Penalty Essay #1 – This paper discusses “Death Penalty in The United States” and how it does not serve it’s intended purpose in society. Basically the author of this paper is saying that Death Penalty should be eradicated from our Judicial System. This is a 6 page paper with 6 sources which is anti-death penalty. Sample Death Penalty Essay #2 – This paper discusses how “Death Penalty is a Fair Punishment for Murder”. The author of this essay provides several valid points as to why we should continue with capital punishment. The paper claims that taking someone else’s life is deserving of your own life when found guilty. This paper is a total of 6 pages with 4 sources and is pro-Death Penalty. "Death Penalty Essay Writing Guide." Aceyourpaper.com. Student Network Resources Inc, 14 April. 2017. Web. 19 April 2019. Student Network Resources Inc. "Death Penalty Essay Writing Guide." Aceyourpaper.com. https://www.aceyourpaper.com/essay-writing/death-penalty-essay-writing-guide/ (accessed April 19, 2019). What is an introduction paragraph? What are some interesting teenage topics for an essay? 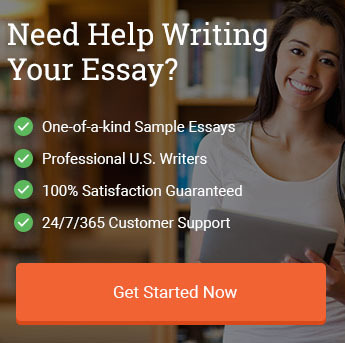 Can You Write My Essay For Free?